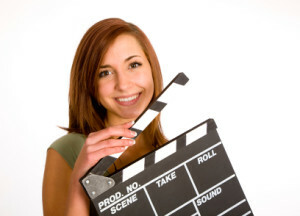 Any experienced filmmaker will tell you how important high quality audio is to a film or video. And an important part of the soundtrack is the feeling that music can add. Big budget movies can afford a composer to create a custom soundtrack but most indie filmmakers have to make do with off-the-shelf music. Fortunately, there are some excellent royalty-free music options available but one problem with most of them is that the tracks are a fixed length. If a track is 2:30 but you only need 30 seconds worth you have to try to find 30 seconds that will work and fade in/out just that part. This can lead to a lot of time spent trying to find the right part of a piece so you can extract just what you need. Or, it can lead to giving up and just using something that’s close but not quite right for the shot. 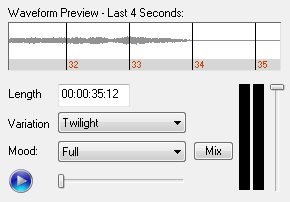 Some music services, like Premium Beat, offer snippets of 15, 30 and 60 second lengths in addition to the full tune which might be two or three minutes long. This can help but it’s still not ideal. 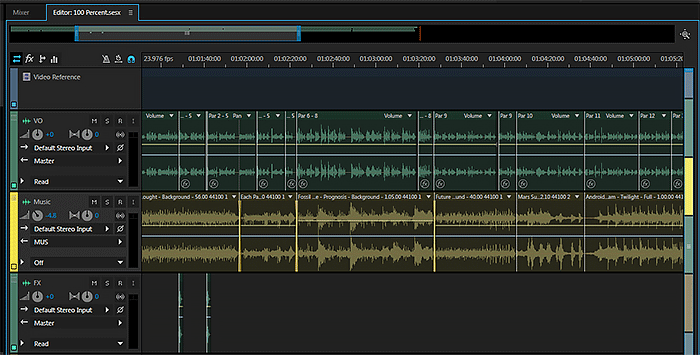 In some cases, the editor may even have to adjust the length of a sequence to match the music. The track is adjusted to exactly fit the specified time and it works automatically and seamlessly. As soon as you type in the time you can click the play button to preview the clip. This custom length feature is just the tip of the iceberg in terms of customization. Note the Variation drop-down in the screenshot. This particular track has seven other variations on the theme. Just click to try the others. If you find one that’s close but doesn’t quite work for your sequence try the Mood drop-down. 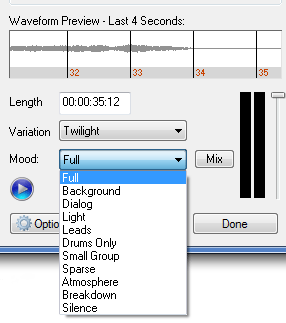 Here’s a screenshot showing the 11 different moods that are available for the selected track and variation. If you still can’t find a combination that’s just right for your needs there’s also a Mix button that allows you to customize the mix. It gets better. Each tune is divided into multiple segments comprising the beginning, middle and ending parts. But it’s not just beginning, middle and end. There can be multiple middle parts which can be included or not depending on the specific length desired. You can adjust the start point of any section by clicking and dragging. This level of control goes beyond just fine-tuning the duration and allows for creative control of the parts of a track. 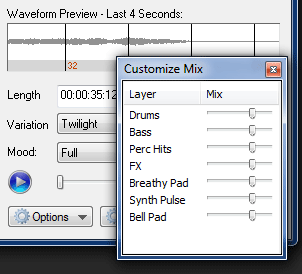 Oh, and did I mention that there’s a Tempo drop-down that allows you to change the tempo? Finally, to add musical beats that sync to your action you can add hits using the Sonicfire Pro software. Choose the exact spot on your timeline where you want a cymbal swell, a drum beat, a whoosh or any of several other hit types. Using these features and the Ambient Drama album I was able to generate a pretty highly customized soundtrack for my video. SmartSound music is not the same as having a composer but it provides an amazing degree of customizability for the price.